If you like this free game, try Rat and Louie: Cook from the Heart. Rory just graduated from culinary school but she's too broke to pay for her school debt! She then has the idea to open a small restaurant of her own, to pay her debts! Enter Rory's Restaurant: A unique blend of Match-3 and Cooking game! Enjoy familiar Match-3 game mechanic in 70 challenging levels! - Serve a food critic at the end of each week for raving reviews. 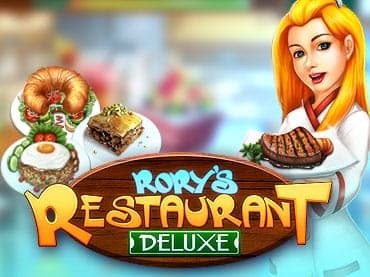 If you have questions about Rory's Restaurant Deluxe game, please contact us using this form.